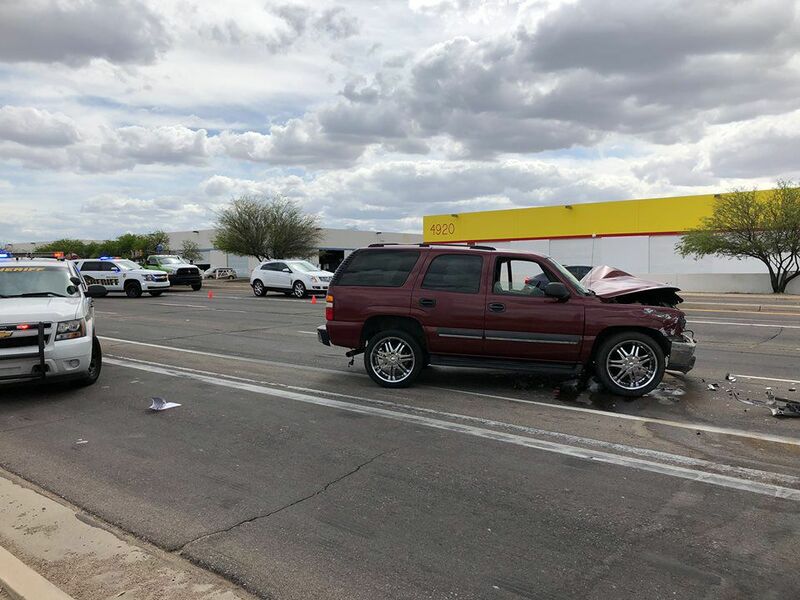 One person was hospitalized with serious injuries after rear-ending a Border Patrol vehicle near Irvington Road and Alvernon Way on Tuesday, April 16. 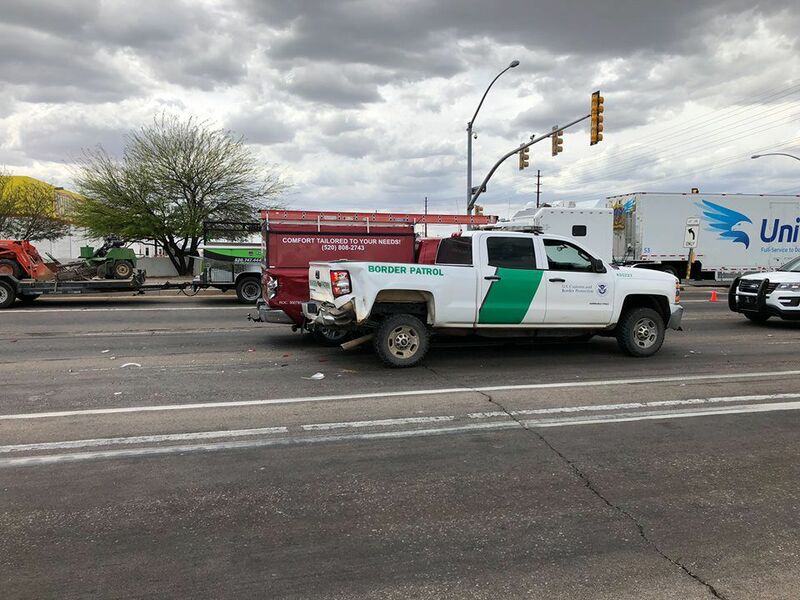 A six-vehicle collision involving two Border Patrol vehicles on Tucson's south side has sent one person to the hospital with serious injuries, officials say. 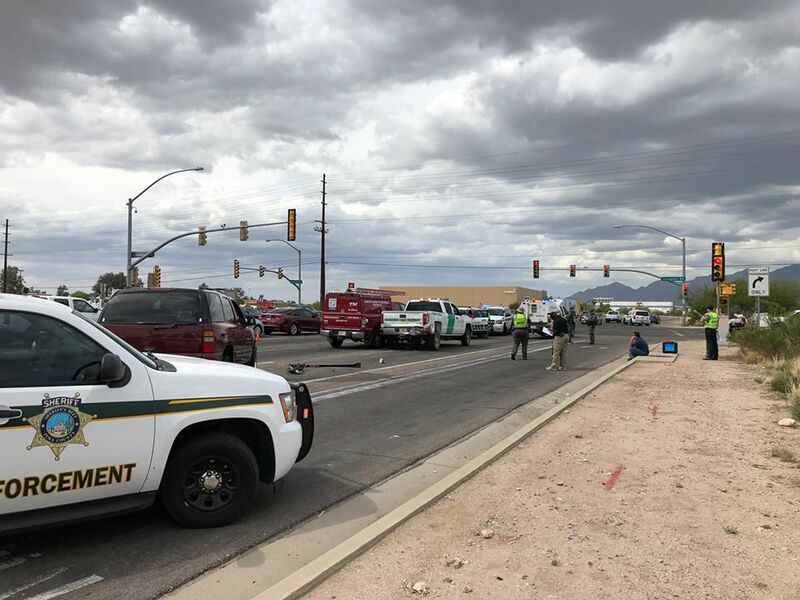 The crash happened Tuesday afternoon near Irvington Road and Alvernon Way, said Deputy Daniel Jelineo, a Pima County Sheriff's Department spokesman. Southbound Alvernon was closed intermittently and heavy delays occurred for several hours.